You don't have to skip hot cocoa just because you can't have dairy. 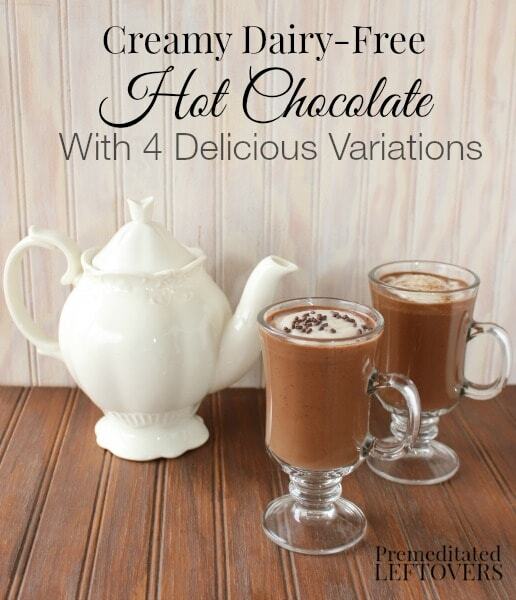 Here is a Dairy-Free Hot Chocolate recipe with 4 delicious variations. Oh, the mommy guilt of trying to sneak a cup of hot chocolate so your dairy-intolerant child doesn't see you enjoying something he can't drink! 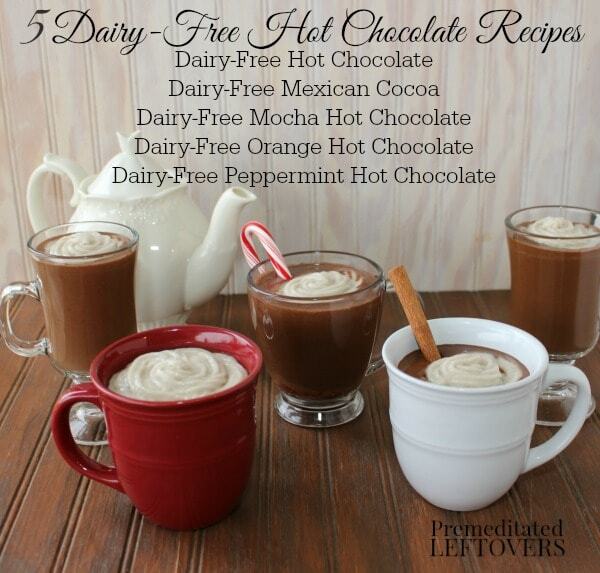 This year I was determined to create a creamy dairy-free hot cocoa recipe that my son could enjoy. I wanted my recipe to be so delicious that everyone would want to drink it, so I wouldn't have to make 2 separate batches of hot chocolate. The first time I tried Silk Cashewmilk, I knew I found the perfect dairy-free milk to use in my dairy-free hot cocoa recipe. Silk Cashewmilk is so amazingly creamy that it is perfect for any recipe where you need a creamy base, but can't use dairy products. 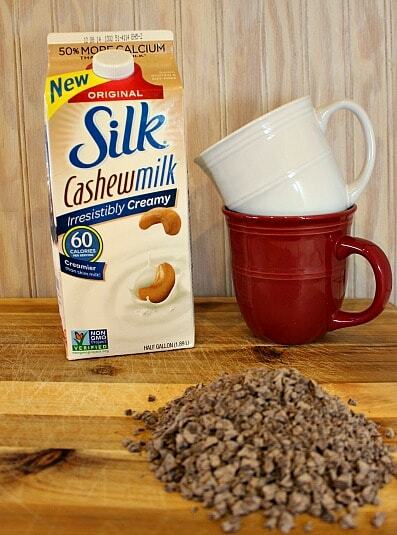 At only 60 calories a cup, Silk Cashewmilk makes a wonderful low-calorie swap for dairy products. 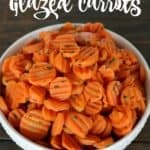 My son doesn't have to watch his waistline, but I sure do! 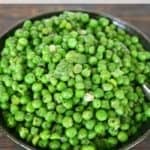 So I am always happy to find a way to reduce calories without skimping on flavor. To make my dairy-free hot chocolate recipe, I used Silk Cashewmilk, dairy-free semi-sweet chocolate, vanilla, and a little sugar. It is fairly easy to find dairy-free chocolate. Just be sure to read the packaging carefully. Depending on your degree of sensitivity you may want to avoid chocolate that was made on a machine that also processes products that contain dairy. Add Silk Cashewmilk and chocolate to a medium saucepan. Cook over a medium flame, whisking occasionally as the chocolate melts. As the chocolate melts, whisk more vigorously to incorporate ingredients. Do not let the milk boil as that will cause it to form a skin. Reduce the chocolate to 3 ounces and add 4 crushed candy canes. Top with dairy-free whipped cream and crushed candy canes. Use a candy cane for a stir stick. Add 1 teaspoon ground cinnamon and ¼ teaspoon cayenne powder to the chocolate. Top with dairy-free whipped cream, cinnamon sugar, and use a cinnamon stick as a stir stick. Add 3 tablespoons instant ground coffee to the chocolate. Top with dairy-free whipped cream and sprinkle with instant ground coffee. Add 1 tablespoon orange zest to the chocolate. Strain the zest from the cocoa after it is done with cooking. Top with dairy-free whipped cream and chocolate pieces. You can also decorate the cup of cocoa with a piece of orange rind if you wish. Sign up for the Silk eNewsletter to receive coupons and learn about new dairy-free products. 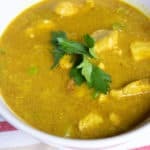 Don't forget to check out Silk's Pinterest boards for more delicious recipes using Silk Cashewmilk!